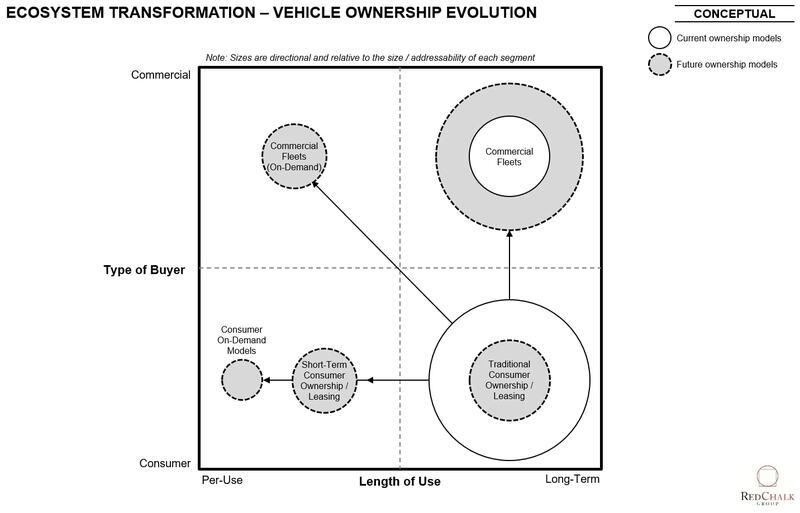 Digital new entrants and ownership alternatives have emerged to pose a threat to the dealership model – dealers must invest in digital experiences and expansion of mobility service offerings to improve their position in the evolving mobility landscape. Technologies and new business models are impacting the dealership channel and the mobility landscape more broadly. 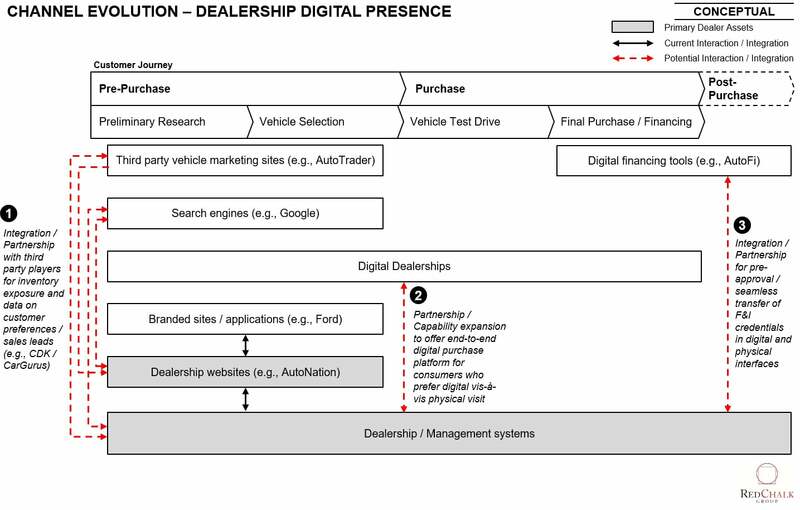 Digital new entrants and end-to-end digital dealerships have proliferated and are disintermediating the dealership’s traditional role in the customer journey. Additionally, mobility service models and, eventually, autonomous driving raise the threat of lower personal vehicle ownership. However, the dealer channel’s unique footprint and inventory scale affords them the opportunity to enhance digital experiences and expand business model offerings in mobility services to take advantage of the evolving ecosystem. 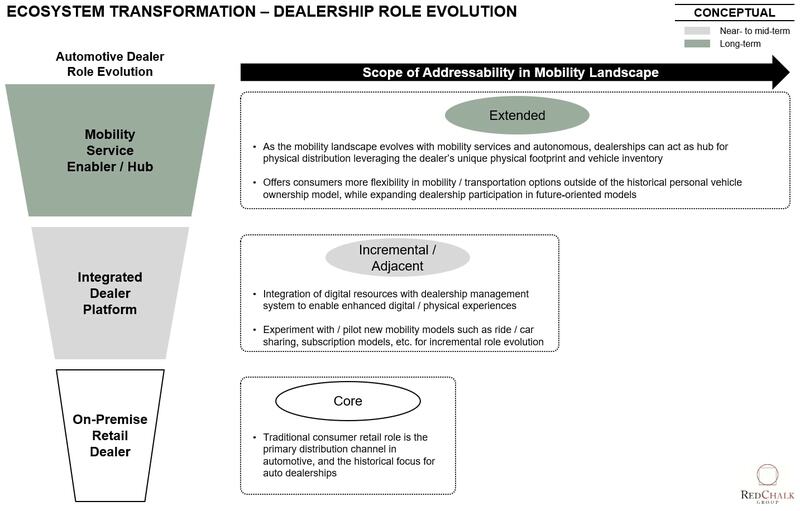 Below we describe the themes and drivers of change in the mobility landscape and dealership channel, and provide an outlook for the future role of dealerships. 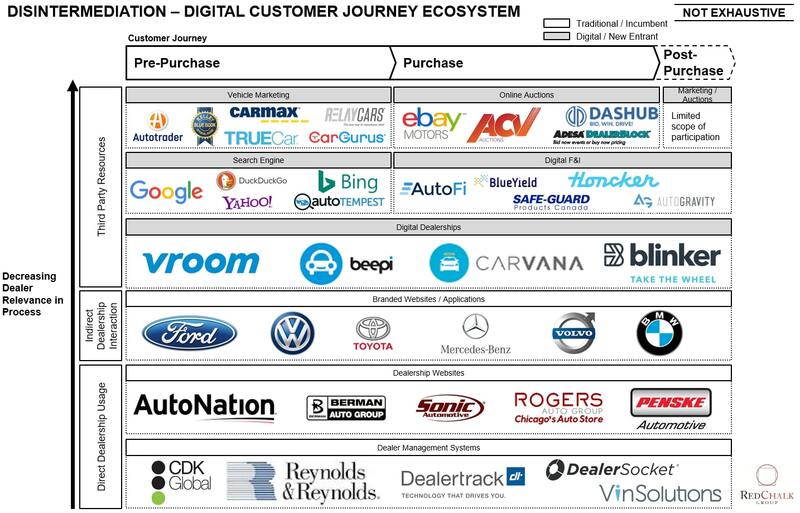 Several drivers are heightening the need for car dealerships to develop digital channels in order to maintain their scope of relevance across the customer car buying journey, and to position themselves to address the evolving mobility landscape. 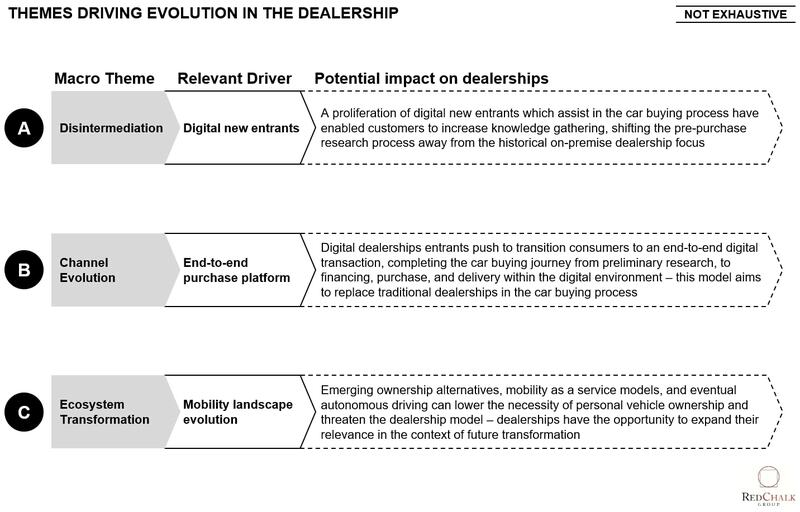 Digital new entrants have proliferated across the customer journey, giving consumers pre-purchase research resources, shifting customers to digital experiences, and disintermediating the role of dealers in the customer car buying journey. 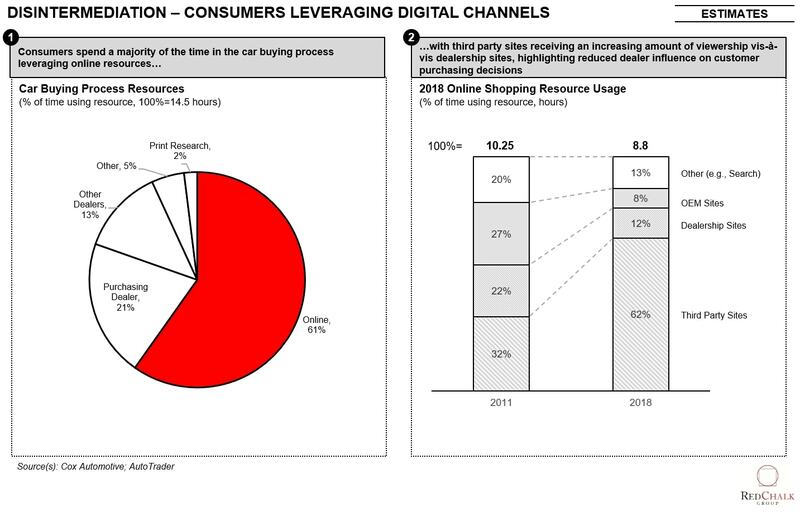 Car buyers are increasingly leveraging digital resources to conduct pre-purchase research, with third party sites seeing nearly 5x the usage of dealership sites, highlighting the dealership’s decreasing influence on customer purchasing decisions. 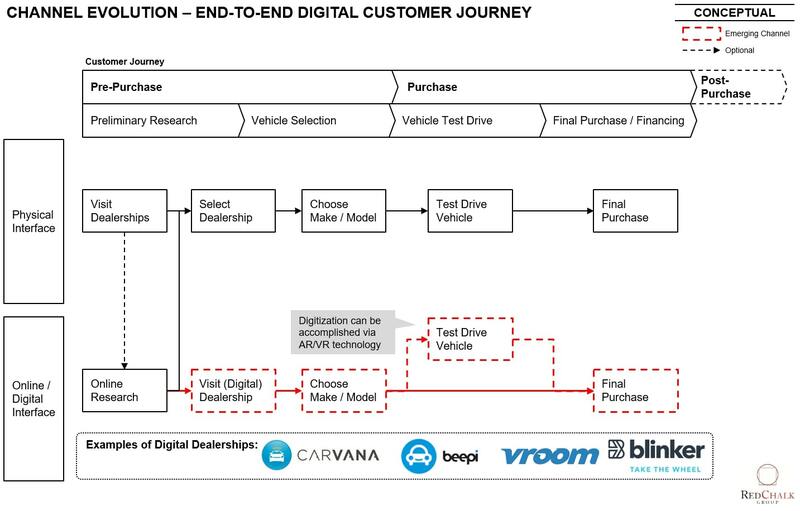 “Digital dealership” new entrants like Vroom and Carvana offer an end-to-end digital environment where consumers can complete the full car buying journey, from preliminary research, to the financing, purchase, and delivery of a vehicle. Options for dealers to enhance their digital presence include: 1) third party site integration for inventory exposure / customer preference data, 2) digital platform / partnerships for an end-to-end digital experience, and 3) expansion of digital F&I offerings. …but afford dealers the opportunity to increase relevance in the short-term by enhancing the digital customer experience and, in the long-term, act as an enabler of mobility services by leveraging their unique footprint and inventory scale.